Thank you to So Delicious Dairy Free for sponsoring this post, as always all opinions are my own. As you all may have noticed I went a little MIA here on the blog the past couple of weeks. It wasn’t intentional but unfortunately, the flu hit our house and I spent about a week mostly just sleeping and being in survival mode trying to keep my three boys from catching it too! After I finally felt human again I decided to celebrate with a trip to Target (of course!) 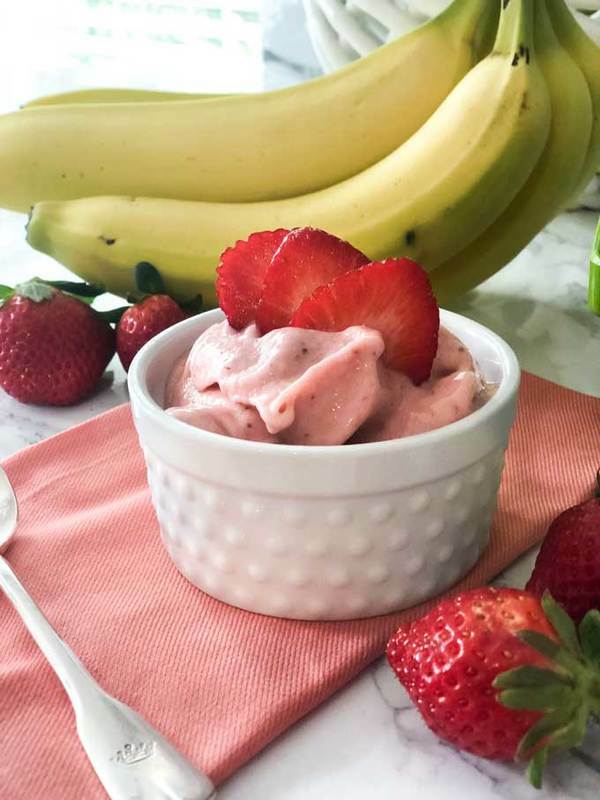 and it inspired me to share this yummy dairy-free Strawberry Banana “Ice Cream” with you! As I was taking my sweet time browsing Target for some springtime decor updates I decided to grab some groceries, mainly some fresh fruit and So Delicious Dairy Free Organic Almondmilk. I have been trying very hard lately to eat clean but I have a voracious sweet tooth that I try to satisfy with fruit instead of candy. 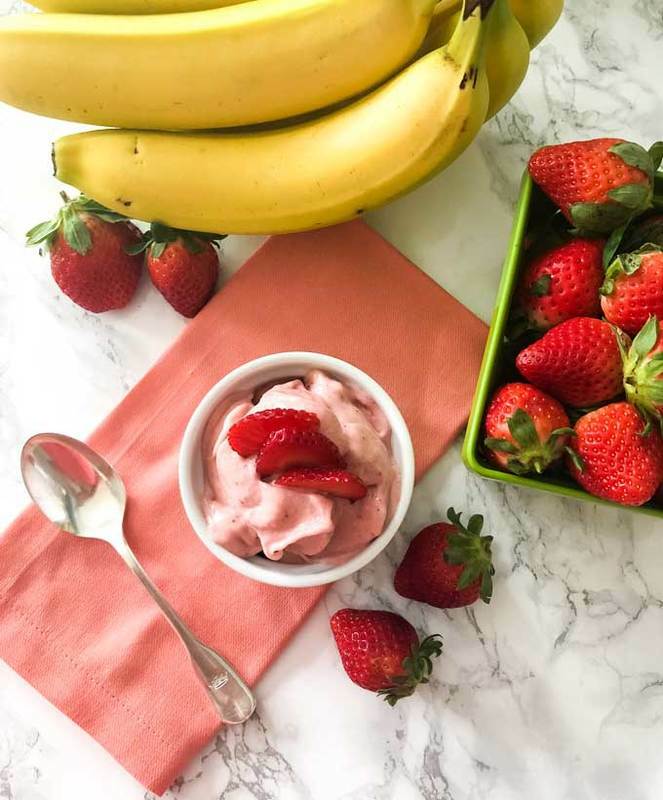 This “ice cream” recipe is perfect for those sweet tooth attack, it’s only three ingredients, whips up in five minutes and dairy free so it’s kind to my sensitive tummy! 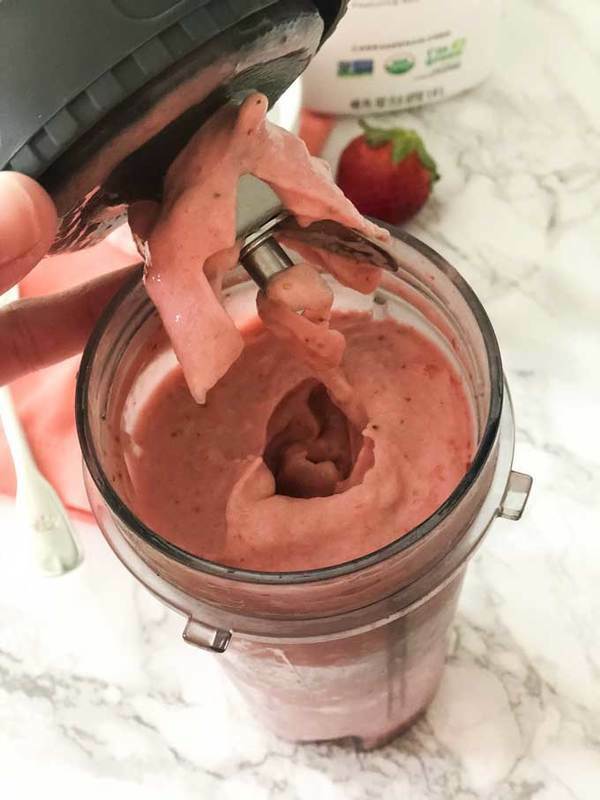 Add all ingredients to a blender or food processor and blend until smooth. Serve immediately. 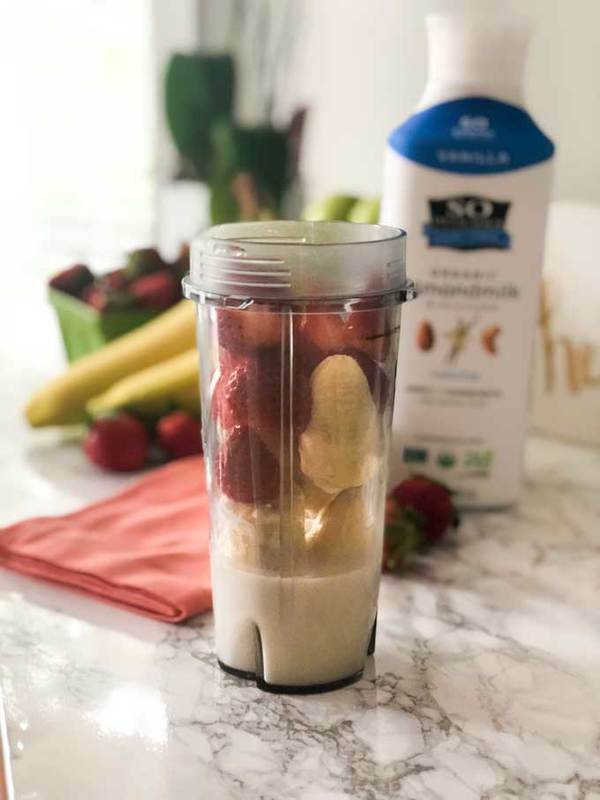 You can adjust for consistency by adding more So Delicious Dairy Free Organic Almondmilk for a more smoothie-like consistency or less for an ice cream texture. 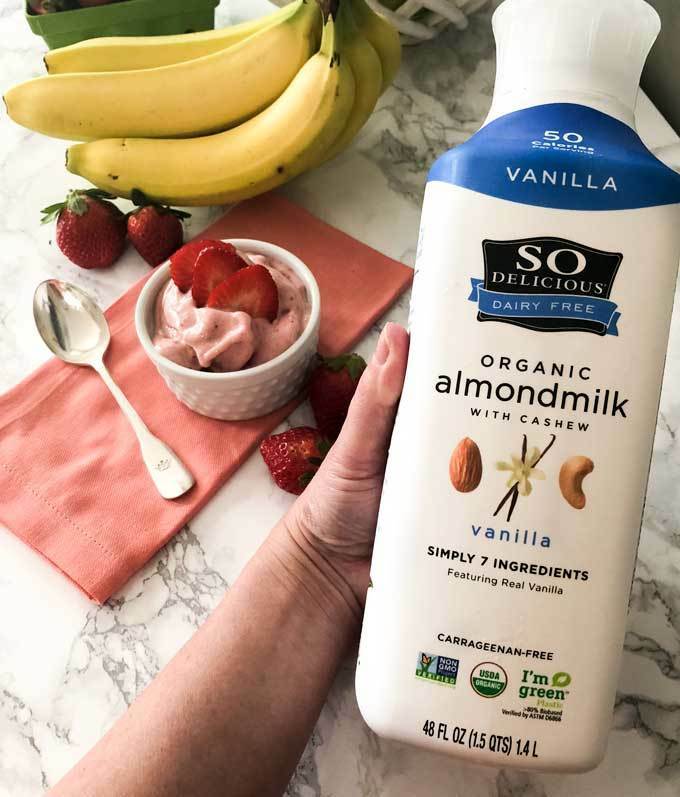 I love So Delicious Dairy Free Organic Almondmilk: it’s made with 8 or less clean ingredients and even the bottle is plant-based! There’s just nothing like it out there and it’s delicious to boot! The vanilla is my favorite but it also comes in original and unsweetened flavors. 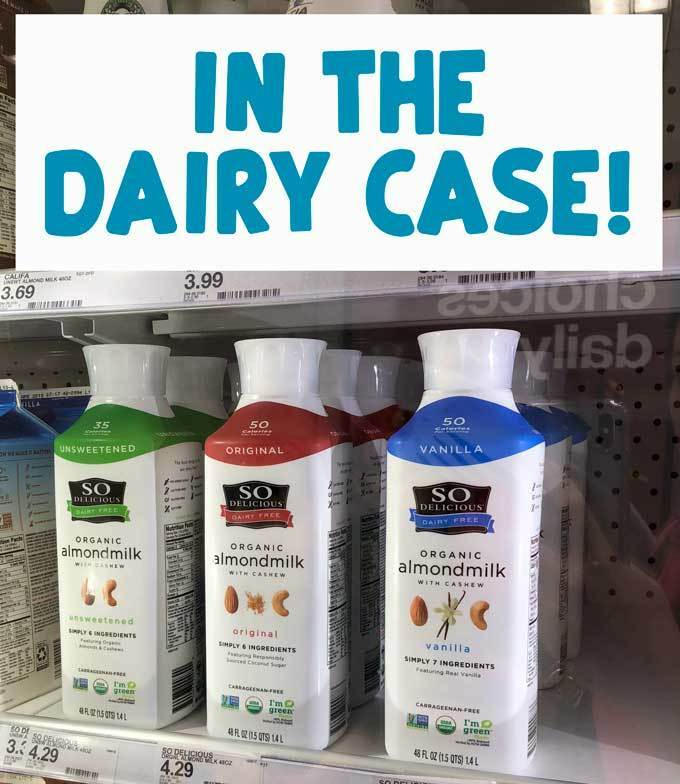 You can save a whopping 20% when buying So Delicious Almondmilk at Target through March 17th when you use the Cartwheel app. How’s that for a win-win? !